BUTUAN CITY, Apr. 17 (PIA) - With the aim to advocate, showcase and promote the City of Butuan as one of the leading tourist destination, not just in the Philippines, but worldwide, the Butuan City local government unit (LGU) led by Mayor Ronnie Vicente Lagnada is inviting all private and government offices, barangays and schools to join the Balangay Float Parade Competition in celebration of the 29th Balangay Festival come May 2017. 1. Concept or theme for the float must depict the appearance of a Balangay boat. 2. Contest will be open to barangays, schools, private and government offices situated in Butuan City. The float shall be mounted in a vehicle not smaller than a multicab and not larger than an elf. 3. Contestant will have option of constructing or pre-fabricating their floats in their own discretion of location. The vehicle that will be used should be in good condition. 4. Contestant will have the option of providing performers as props during the duration of the parade. Entry must portray authentic appearance of the Balangay boat including the color, presentation and feature. 5. The height must not go beyond 12 feet; width must not go beyond 9 feet and length must not go beyond 20 feet. For every foot in excess the maximum specifications, a penalty of five points shall be deducted from the total score of all judges. 6. Floats will be judged during the duration of the parade. Floats should be stable and secure and must be well-ventilated to avoid suffocation of driver/rider. 7. Assembly time will be at North Montilla Boulevard at 1:00 p.m. and will traverse at North Montilla Boulevard, J.C. Aquino Avenue and ends at the City Sports Complex. Floats must remain parked at the designated area in the complex for the judges’ final scoring. 8. Entries in the float competition will be confirmed upon receipt by the secretariat of the duly accomplished registration form. 9. Floats should be environmental friendly. Participant will have the prerogative on its concept and design of the Balangay float. 10. The float contestant will be given their float number as they confirm their participation and submission of registration form. The number must be printed in a 2 feet x 3 feet placard and be placed on a conspicuous part of the float together with the name of participant. 11. Entry will be disqualified if it fails to abide with the mechanics. 12. The decision of the judges shall be final and non-appealable. Meanwhile, the criteria for judging the boat/float contest will be 50 percent for craftsmanship, 25 percent for the theme and 25 percent for impact and ingenuity. “The prize for the grand winner is P150,000. Second prize winner will receive P100,000 and P75,000.00 for the third prize winner. Consolation prizes of P20,000 will also be accorded to each five floats,” said Lagnada. BUTUAN CITY, Apr. 17 (PIA) – The Regional Juvenile Justice and Welfare Committee (RJJWC) in Caraga region continues its lobbying efforts to the local government units (LGUs) to intensify campaign against the approval of the bill on the lowering of the Minimum Age of Criminal Responsibility (MACR) from 15 to nine years old. Officer-in-charge regional director Mita Chuchi Gupana-Lim of the Department of Social Welfare and Development (DSWD) expressed the strong opposition of the agency against the said House Bill. “It is not right to punish the young when they commit crimes especially when they are just used by the adults,” said Lim. “We have to strengthen our laws on trafficking and child abuse and find a better and effective system to catch the adults who are using the minors to commit an offense,” she added. “When our minors are in prison, they are more vulnerable to abuses, their health is compromised,” Lim stated. BUTUAN CITY, Apr. 17 (PIA) - Troops under the 26th Infantry Battalion of 401st Infantry Brigade have recovered one CCZ 550 sniper rifle and two dead New Peoples Army (NPA) were left by their fleeing comrades after a major encounter ensued in the outskirts of Barangay Mahagsay, San Luis town of Agusan del Sur at 3:30 p.m. on April 13, 2017. Troops responded to a report from the concerned civilians that a group of fully armed NPA bandits are harassing their community. It said that the NPAs are forcibly taking foodstuffs and money from the residents of the said community. After a 30-minute fierce firefight, the NPAs scampered out of the encounter area leaving their dead comrades, one sniper rifle, 50 rounds of M60 ammunition, war materiel, 34 sacks of rice, 10 backpacks which contain personal belongings, and subversive documents. Col. Cristobal Zaragoza, 401st Infantry Brigade Commander ordered the 26th Infantry Battalion to conduct pursuit operation to hunt down the bandits. Major General Benjamin Madrigal Jr., 4th Infantry Division commander lauded the swift execution of the said operation and congratulated the troops for successfully hitting the NPA bandits who are responsible for many atrocities in Agusan del Sur. "Time and again, we have proven that no evil will triumph. While most of the Filipinos are solemnly reflecting during this lenten season, the NPAs are busy doing their extortion and other evil activities. Fortunately, our relentless guardians of peace have displayed a distinct act of courage when they foiled the extortion and recruitment scheme of the said NPA group in the peaceful lumad community of Brgy. Mahagsay,” underlined MGen Madrigal. BUTUAN CITY, Apr. 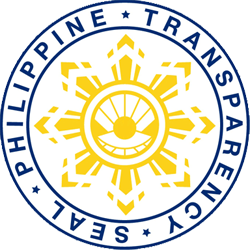 17 (PIA) - The Philippine Statistics Authority (PSA) is set to conduct the 2016 Annual Survey on Philippine Business and Industry (ASPBI) in the provinces of Caraga Region. Series of training sessions were already conducted for the regional and provincial staffs involved in the project. Just recently, the Regional Statistics Services Office 13 spearheaded by its regional director Rosalinda Celeste-Apura had conducted the second level training. Third level training sessions were also held in the provincial offices last April 4-7, 2017. Respondents Forums were also arranged in the provinces within last week of April and first week of May 2017. The 2016 Annual Survey on Philippine Business and Industry (ASPBI) is a continuing activity of the Philippine Statistics Authority. It is primarily conducted to provide information on the levels, structures, performance and trends of economic activities of the formal sector in the entire country for the year 2016. It is one of the designated statistical activities of the government and it generates the essential statistics required for economic planning and analysis. In particular, the ASPBI will collect data and generate detailed information on employment, income, expense, inventories, tangible fixed assets, intangible fixed assets and total assets of the establishments. Moreover, some indicators to evaluate the performance of industries at the national and regional levels can also be generated such as value added, labor productivity, average compensation and other necessary. Results from ASPBI were also used for Business Process Management (BPM) activities and identification of micro, small and medium establishments/enterprise (MSME) using data on total employment and total assets collected. BUTUAN CITY, Apr. 17 (PIA) – With the loan penalty condonation deadline on 27th of April 2017, the Social Security System (SSS) is encouraging all members with short-term loan delinquencies to avail of the Loan Restructuring Program (LRP) which offers affordable payment terms and conditional condonation of loan penalties. SSS president and chief executive officer Emmanuel F. Dooc said that a total of 487,278 members have benefited from LRP which has an equivalent collection of P2.89 billion as of February this year. More than 22,000 self-employed members also availed of the LRP with an equivalent collection of P105.65 million. Meanwhile, nearly 30,000 OFW-members benefitted from the program with a total remittance of P234.91 million. In terms of geographical location, the National Capital Region (NCR) processed the highest number of LRP applications with 226,776 followed by Luzon, Visayas and Mindanao area with 141,224 applications, 52,498 applications and 49,126 applications respectively; while the foreign offices processed 17,654 applications. SSS local branches that received the largest volume of LRP transactions as of end-January 2017 were Diliman, Davao, Calamba, Biñan and Bacoor. Meanwhile, foreign offices that facilitated the highest number of LRP applications were Hongkong, Riyadh and Dubai, where huge number of OFWs are located. Member-borrowers can still avail of the LRP until April 27 to provide financial relief to borrowers affected by natural calamities and disasters who struggle to pay their short-term SSS loans. 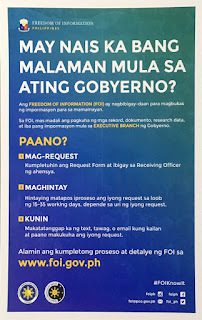 “We would like to remind other delinquent borrowers to apply for LRP before the prescribed deadline to avoid hassle from last-minute filing as well as to conveniently settle their financial obligations to SSS. If they failed to avail the LRP, the loan interest and penalty will continue to increase every month,” Dooc concluded. To qualify for the LRP, the member should be residing or employed in any of the calamity areas declared by the National Disaster Risk Reduction and Management Council (NDRRMC) or the national government. The short-term loan must also be overdue for at least six months as of April 28, 2016. ESPERANZA, Agusan del Sur, Apr. 17 (PIA) – The Agrarian Reform Community Connectivity Economic Support Services (ARCCESS) of the Program Beneficiaries Development Division (PBDD) Department of Agrarian Reform (DAR) Provincial Office has recently turned over the P3.5 million worth of farm equipment comprised of one unit 90hp tractor and three units corn sheller to Remedios Farmers Multi-Purpose Cooperative (REFAMCO) in Barangay Remedios, Esperanza, this province. Agrarian Reform Program Officer I (ARPO I) Hanisarah Saripada of the provincial office, together with the staff of DAR Municipal Office of Esperanza headed by OIC-Municipal Agrarian Reform Program Officer (MARPO) Joven Pizarro, and the REFAMCO officers attended the said event. ARPO I Saripada informed that the turn-over ceremony would serve as a binding contract between DAR and REFAMCO, as a deed of donation was being signed. This will give the cooperative an assurance that the said farm equipments are already entrusted to them legally. She further said that hopefully, with the use of the said farm equipment, REFAMCO will progress into a more productive cooperative. Meanwhile, MARPO Pizarro stressed that one of the purposes of ARCCESS is to improve the economic aspect of life of the farmer beneficiaries through provision of farm equipment that will not only aid the farmers as they cultivate the land awarded to them but also to become one of the income-generating assets of the cooperative that they are into. BUTUAN CITY, Apr. 17 (PIA) - The Department of Energy (DOE) Secretary, Alfonso G. Cusi believes that "energy empowerment and women empowerment go hand-in-hand". This was the message he made as he graciously gave the stage to the women of the DOE during the culminating activity celebration of the 2017 National Women’s Month. The DOE’s Gender and Development Office chaired by Electric Power Industry Management Bureau Dir. Mylene Capongcol invited Miriam Quiambao-Roberto to talk about her life's challenges, struggles and victories. If her name sounds familiar, it’s because she is the former Miss Miriam Quiambao - the 1999 Miss Universe first runner-up. Who says the life of a beauty queen would be a walk in the park? Miriam Quiambao-Roberto narrated that her slip onstage in the 1999 Miss Universe led to a triumphant stance as she stood up and walked confidently back to center stage, eventually finishing second to Miss Botswana. She said her international beauty queen status brought her to fame and fortune, but also heartaches as her marriage to Italian business tycoon Claudio Rondinelli ended in divorce after only two years. She shared how she fought depression brought about by the failed marriage, her attempt to commit suicide, and her spiritual renewal with the help of her second husband, author and business entrepreneur Ardy Roberto. The beauty queen said that she found God anew and in doing so, made positive changes in her life and the people around her. Ms. Miriam Quiambao-Roberto shared that she dedicates her book “He Can Catch You When You Fall” to all the women who have fallen onstage or offstage. She said that during her dark days, she wished for the God of "infinite chances" to reveal himself with love and lift everyone higher from one glory to another. “Miriam remains an epitome of empowerment for all genders and her experiences are a great source of inspiration to anyone. We can learn from her experiences and relate to our own individual improvement and recognition of self-worth," Capongcol expressed after the passionate talk of Quiambao-Roberto before the DOE family last March 27 at the DOE Multi-Purpose Hall. Earlier activities conducted by the Gender and Development Focal Point System (GAD-FPS), through the DOE's Consumer Welfare and Promotion Office (CWPO), headed by Helen Arias for the 2017 National Women's Month, included image enhancement, jewelry-making, perfume-cologne-making and chocolate-making. BUTUAN CITY, Apr. 17 (PIA) - Department of Energy (DOE) Secretary Alfonso Cusi reminded the public to adopt safety precautions in using energy to avert possible danger to lives and property amid a series of earthquakes that rocked Batangas, Mindoro and other adjacent areas over the week. The Philippine Institute of Volcanology and Seismology (PHIVOLCS) reported that between 3:07 p.m. and 3:09 p.m. on April 7 successive earthquakes with a magnitude 5.6 and 6.0 respectively joltsed Mabini, Batangas affecting houses and major infrastructures, including energy facilities. While the earthquake caused power interruptions, the National Grid Corp. of the Philippines (NGCP) reported it fully restored at 3:45 p.m. on April 8, 2017 all transmission facilities in areas affected by the tripping of generation plants due to the earthquakes that occurred at 3:08 p.m. of the same day. BUTUAN CITY, Apr. 17 (PIA) – The East-West Center will bring together twelve to sixteen international journalists for 2017 Senior Journalists Seminar (2017SJS), an immersive 22-day dialogue, study, and travel program to Washington, DC; Minneapolis, MN; Manila and Cotabato City, Philippines; and Istanbul, Turkey. The seminar will start on August 23 until September 15 of this year. It will begin in Washington, DC with an overview of the American political system, including the United States (U.S.) Constitution’s First Amendment, federalism, the separation of powers, and congressional influencers on foreign policymaking. Other foundational sessions will examine the religious make-up, diversity of religious identity, and the prayer and attendance practices of the American public. The Washington, DC study tour will also feature participant presentations summarizing religion’s role in their home countries. In Minneapolis, journalists will experientially explore America’s multicultural and multi-religious society, the experiences of minority religious communities, initiatives bridging faith divides, and how cultural and religious identity, experience, and diversity is expressed in the literary, visual, performing, and media arts. Throughout the U.S. study tour, journalists will consider the political, military, and cultural engagement of the U.S. with Muslim majority regions. Travel to Manila/Cotabato City, Philippines and Istanbul, Turkey will contextualize and compare religion’s role in the public sphere across democratic nations; provide first-hand exposure to and more nuanced understanding of the diversity of Muslim societies; and build the professional networks of participating journalists. Meetings with government officials and academics in all three countries will explore domestic and international counter-terrorism efforts and opportunities for cooperation. Interactive experiences will also be included to deepen journalists’ understanding of Muslim cultures through the arts, culture, and new media. Finally, the media’s role in choosing, framing, and disseminating stories with a religious element and its effective shaping of public perception and U.S. relations with Muslim majority regions will be explored. Media professionals from print, broadcast, online, and multi-media news organizations, including editors, reporters, columnists, editorial writers, producers, bloggers, videographers, and photo journalists with a minimum of ten years of experience are eligible to apply. The Senior Journalists Seminars will include a total of 12-16 journalists from the United States and countries with substantial Muslim populations. Of the total journalists selected, seven to eleven will cover foreign and diplomatic relations, security, military affairs, domestic politics and government or religion and five will cover the arts and/or culture, including race and/or minority issues. Journalists covering all relevant beats from the following countries are eligible to apply: Afghanistan, Australia, Bangladesh, Brunei, Burma, China, India, Iran, Iraq, Indonesia, Malaysia, Nepal, Pakistan, Palestine, the Philippines, Singapore, Sri Lanka, and Thailand, and the United States. In addition to the list of countries above, journalists who specifically cover art and/or culture, including race and/or minority issues, from the following countries are also eligible to apply: Algeria, Belgium, Canada, Chad, Cyprus, England, Egypt, France, Germany, Jordan, Kuwait, Libya, Nigeria, Mali, Morocco, Oman, Qatar, Russia, Saudi Arabia, Senegal, Somalia, Sudan, Tunisia, Turkey, UAE, and Yemen. Successful candidates represent the diversity of religions (e.g. covered and non-covered Muslims, Buddhists, Catholics, Christians, Hindus, and Jews)s, ethnicities, and regional differences within the United States, Africa, Europe, the Near and Middle East, Southeast Asia, and South Asia. Preference is given to those journalists who offer compelling story ideas and clear dissemination strategies. Fluency in English is required. Valued at approximately USD$11,725 per person, funding includes, the 2017 Senior Journalists Seminar is funded by the East-West Center, Doris Duke Foundation for Islamic Art, Doris Duke Charitable Foundation, and the Roshan Cultural Heritage Institute and supports the participation of journalists from the United States and countries with substantial Muslim populations. The EWC requires journalists to file at least one story or a series of blogs and/or tweets resulting from their participation in the seminar. Journalists must offer specific story ideas and how you will fulfill this requirement in your application. All participants are responsible for the Senior Journalists Seminar fee of USD$800.00, visa fees, health insurance and airline baggage charges. EWC encourages additional participant cost-sharing of programmatic costs and considers cost-sharing in the selection of applicants. BUTUAN CITY, Apr. 17 (PIA) - Energy Secretary Alfonso Cusi described as very timely the Philippines' hosting of the 7th Nuclear Energy Cooperation and Sub-Sector Network (NEC-SSN) Meeting on April 17-19 at Hotel Sofitel, Manila. According to Cusi, the Philippines hopes to gain insights with the seminar as it is now undertaking various studies and capacity building activities aimed to determine the nation's position on nuclear energy. "The seminar will focus on securing radioactive sources, a grave concern relative to risks to people and the environment," said Cusi. The actual meeting of ASEAN member states (AMS) who are part of the SSN will take place on the 19th of April. Starting the three-day activity of the NEC-SSN is the seminar on security of radioactive sources organized by the ASEAN Center of Energy (ACE) in partnership with the Integrated Support Center for Nuclear Non-proliferation and Nuclear Security (ISCN) of the Japan Atomic Energy Agency (JAEA). Attending the seminar are those from ACE, AMS, international organizations including International Atomic Energy Agency (IAEA), ISCN/JAEA and European Union Chemical Biological Radiological and Nuclear Risk Mitigation Centres of Excellence Initiative (EU CBRN COE). Local participants from DOE, DOST, DOST-PNRI, academe and electric utilities are also in attendance. Most are members of the newly organized Nuclear Energy Program Organization or the NEPIO. The Seminar will be keynoted by the NEPIO Chairperson, DOE Undersecretary Donato D. Marcos.